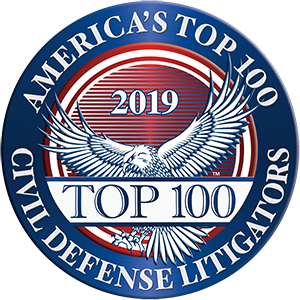 January 21, 2019 – Announcing the selection of Daniel A. Cooper among America’s Top 100 Civil Defense Litigators® for 2019. 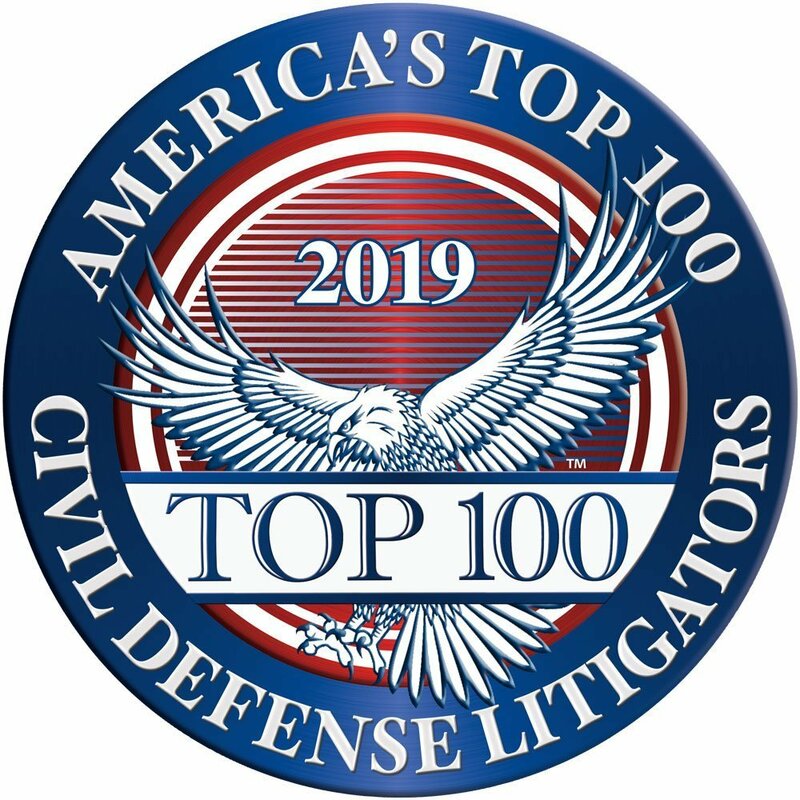 Selection to America’s Top 100 Civil Defense Litigators® is by invitation only and is reserved to identify most exceptional Civil Defense Litigators in throughout the nation. Candidates are carefully screened through comprehensive Qualitative Comparative Analysis based on a broad array of criteria, including the candidate’s professional experience, litigation experience, significant case results, representative high stakes matters, peer reputation, and community impact in order to rank the candidates throughout the state. Only the top 100 qualifying defense litigators in each state will receive this honor and be selected for membership among America’s Top 100 Civil Defense Litigators®. With these extremely high standards for selection to America’s Top 100 Civil Defense Litigators®, less than one-half percent (0.5%) of active attorneys in the United States will receive this honor — truly the most exclusive and elite level of litigators in the community.